New Less Than Jake video! 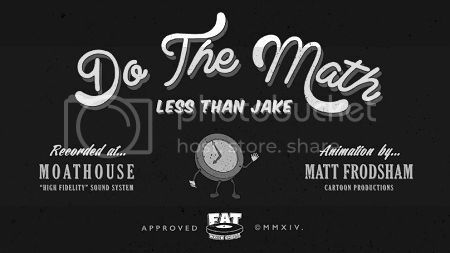 All you Fantasia fans are gonna flip out over Less Than Jake’s brand new video for “Do the Math”. FUSE TV is premiering this animated adventure here! If live action is more your thing then you can check out Less Than Jake all summer headlining the Warped Tour. You can even rub elbows with the band at their booth, as they’ll be hanging out there for a few hours every day of tour.